I joke that my children subsist on pancakes and my tears. It’s not far from the truth. What to do with these picky little eaters? Well, our pediatrician tells me not to worry, but I’m a mom. Worrying is sort of my gig. Thankfully when they are tired of pancakes and my sorrow they are usually up for food from a pouch. Presentation is everything with kids, and they love to squeeze their snack right in their mouth like little foodie ninjas who are so powerful they don’t even need spoons. 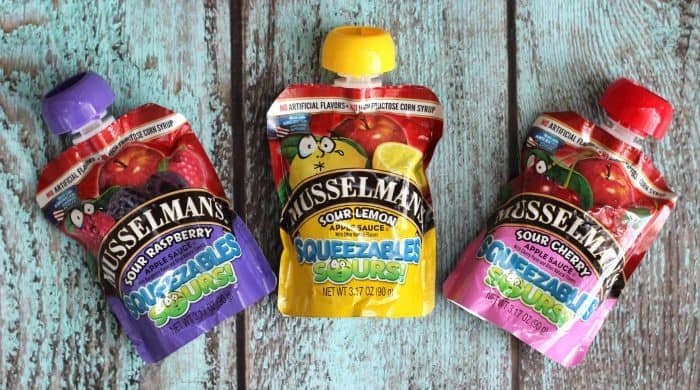 Thankfully, there’s an option that makes both moms and kids happy at snack time: new Musselman’s Squeezables Sours Apple Sauce! This healthy snack contains no high fructose corn syrup, is free of GMOs, and is made with 100% American grown-apples. 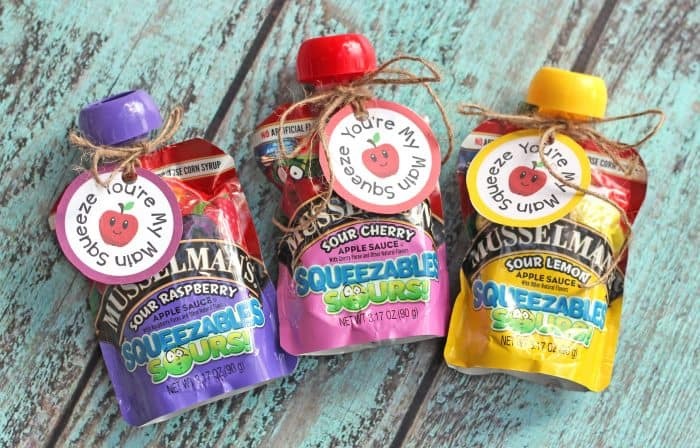 Available in Sour Lemon, Sour Raspberry, and Sour Cherry, Musselman’s Squeezables Sours Apple Sauce is great alternative to those sour candies we love but aren’t very good for us. The sour cherry is my favorite. I just recently got over a stomach bug and you know how they say to follow the BRAT (bananas, rice, applesauce, toast) diet for a little while afterward? The tangy sweet goodness of these little applesauce pouches was about the only thing that sounded good to me for days. Not exactly the conventional use of these little beauties, but I had to share since they were such a lifesaver. 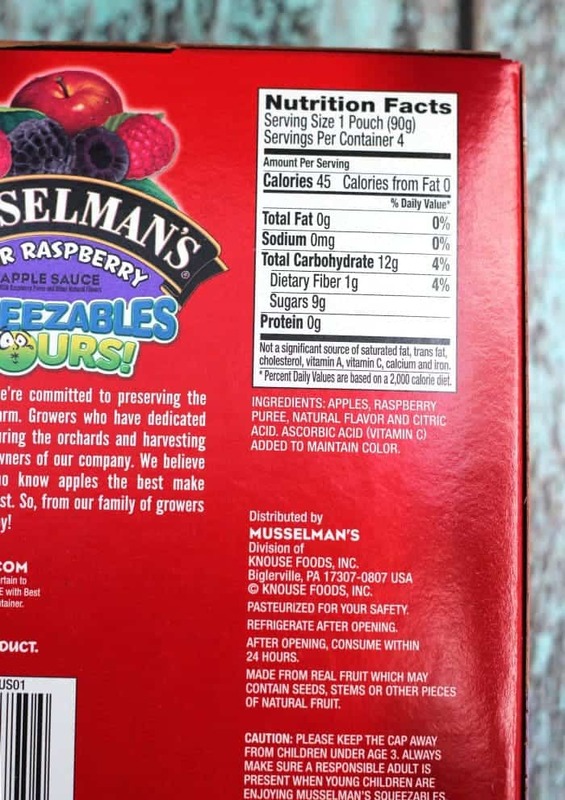 You’ll find new Musselman’s Squeezables Sours Apple Sauce in the apple sauce aisle at many local grocery stores. Click the link for a $1 off coupon! The convenient pouch format is not only great for snacking, but for school lunch too! Now that she knows how to write, Sweet T is constantly bringing me little handwritten notes. She loves to receive notes in return so I try to pack one in her lunch most days. 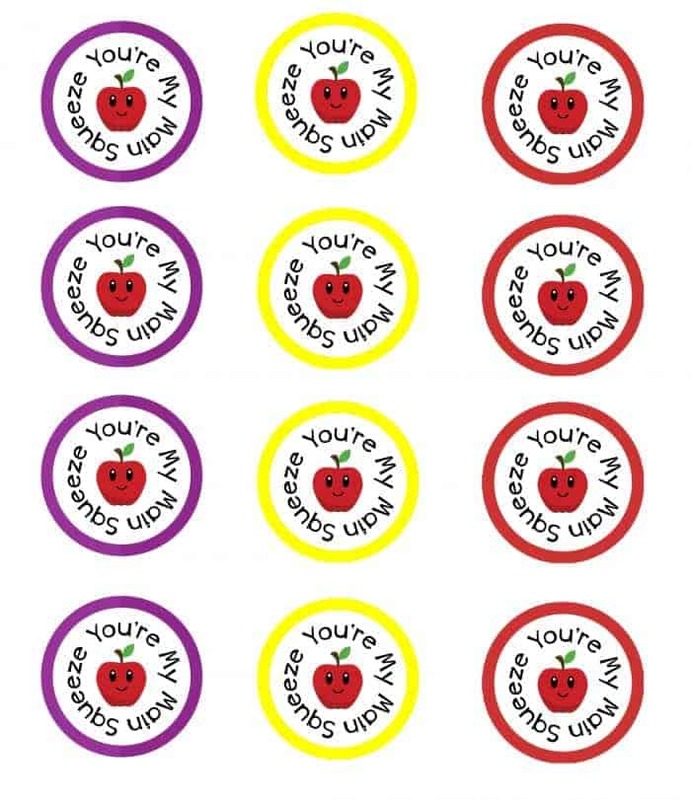 Below are some free squeeze pouch printables to add to your child’s #SqueezeablesSours and make their lunch even more special. Click here on on the image below to print. If sour flavors aren’t your favorite, try Musselman’s Squeezables in Strawberry, Honey Cinnamon, and Unsweetened flavors instead. They have something for everyone!